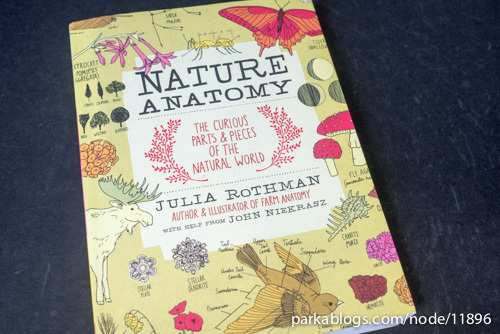 This is a review copy sponsored by Storey Publishing as part of a blog tour promotion to introduce Nature Anatomy to more readers! 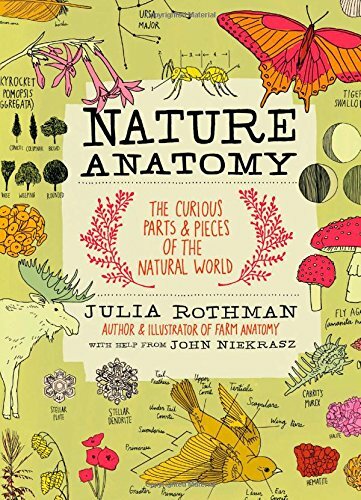 Nature Anatomy is Julia Rothman's new book for 2015. This is sort of a follow-up to her earlier book Farm Anatomy: The Curious Parts and Pieces of Country Life that was published in 2015. After completing Farm Anatomy, she got inspired to continue with what she was doing. So now she has expanded into the larger world of nature. This 224-page paperback is not designed to be comprehensive like those humongous DK knowledge books. 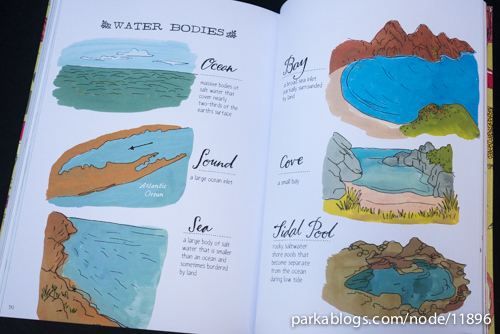 Nature Anatomy is more fun and simple. 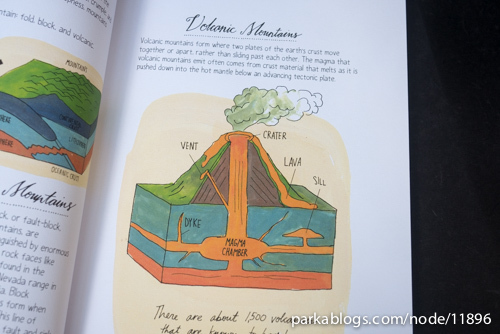 It covers the selected flora, fauna, insects, animals and geological formations such as mountains, the oceans. 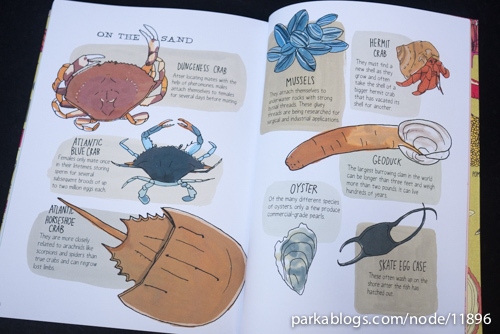 I find it fascinating to read about all the interesting information, like the life cycle of a salmon, the types of edible plants you can find in a forest, parts of a bird, snowflakes, different types of flowers, trees, moths, mushrooms, the atmosphere and many more. The writing is accessible and I finished the book in one sitting and found myself occasionally going to Wikipedia to read up more about those things that fascinated me. 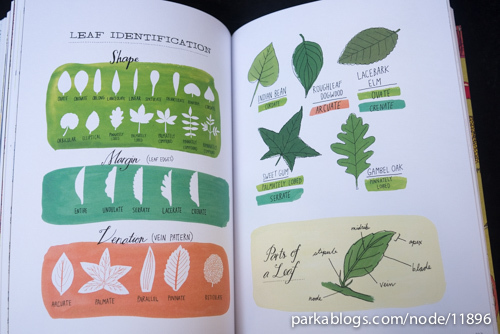 All the bits of information are presented alongside Julia Rothman's simple but beautifully coloured illustrations. 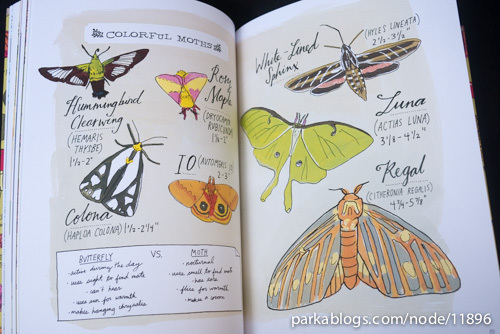 I like the ink line styles with filled colours. 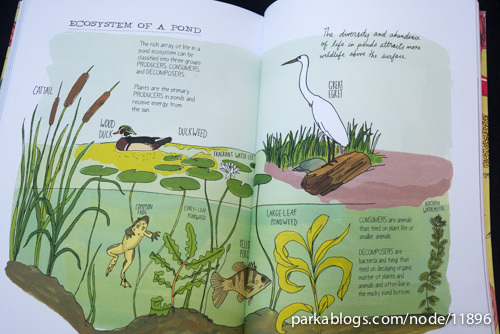 Overall, it's a fun and educational book. Recommended to all knowledge seekers.